WASHINGTON (CNS) — For his homilies on the weekend of July 21-22, Father Edward Looney, administrator of two rural Wisconsin parishes, planned to preach about ways to include God on summer vacation. His rough outline was scribbled on Post-it notes. 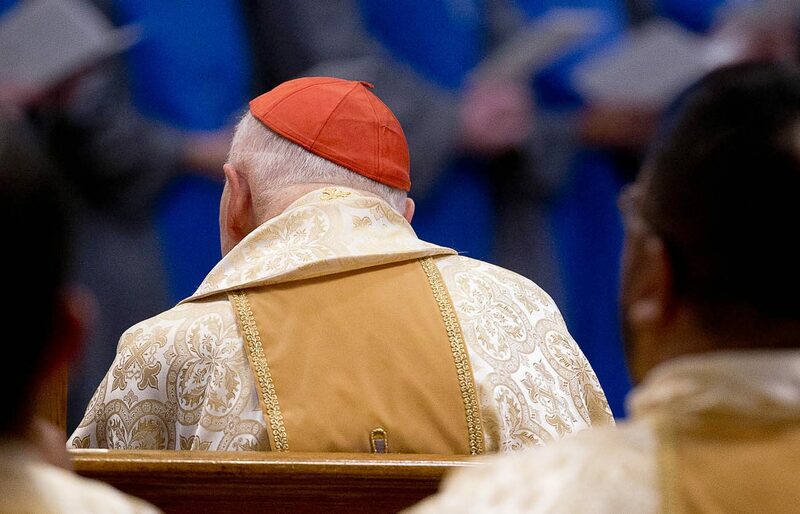 But during the Saturday evening Mass when he heard the opening lines of the first reading from Jeremiah, the priest switched gears, deciding he had to say something about sexual abuse allegations against now former Cardinal Theodore E. McCarrick, retired archbishop of Washington. “Woe to the shepherds who destroy and scatter the flock of my pasture,” the passage from Jeremiah 23 begins. It goes on to deliver harsh words for shepherds who have not cared for their sheep and says they will be punished for their evil deeds. The message was not lost on Father Looney, who was ordained in 2015 and is frequently a guest on EWTN Radio’s “Morning Glory” program. “I thought about it and when I got to the ambo I knew it was a game-time decision” for a new homily, he told Catholic News Service. So, for the 4 p.m. Mass July 21 at St. Peter and St. Hubert Parish in Rosiere, Wisconsin, and subsequent Masses there and at St. Francis and St. Mary Catholic Church about 10 minutes away in Brussels, the priest linked the Old Testament passage with the current situation in the church. He urged parishioners to pray for all affected by recent abuse allegations, for anyone who had been abused and also for the “perpetrator” to come to a point of repentance, admitting guilt and asking forgiveness of God and others. He said the issue is close to home because a priest had been found guilty of sexual abuse years ago in a neighboring town. Father Looney put his homily on social media, as he often does, and one person who responded thanked him, saying he had been an abuse victim and hadn’t lost faith in the church, which he still prayed for, but had lost faith in priests. The priest, who was ordained just last year and will get a new assignment in the fall with the reorganization of parishes in the Pittsburgh Diocese, said he felt the need to speak out about “abuse of power in the church,” especially since it is on many people’s minds locally with the upcoming release of the grand jury report on an investigation of clergy sexual abuse claims, many decades old, in the Pittsburgh Diocese and five other Pennsylvania dioceses. After Mass, the feedback was uniformly positive, he said, and a lot of people told him it took a lot of courage. It was a homily he had prepared, writing it out to be sure he had the phrasing correct because he didn’t want to turn his parishioners against church leaders, he said. But when he read it at the first Mass, he felt emotional, with what he described as righteous anger. “I felt betrayed as a priest,” he told CNS. One parishioner told him he was glad he hadn’t pushed the issue under the rug. Another person, visiting from the Diocese of Erie, Pennsylvania, said he came from a parish where his pastor had been removed because of abuse and asked for a copy of the homily to so he could send it to his family. In the Washington Archdiocese, which Archbishop McCarrick led from 2001 until his retirement in 2006, some priests mentioned the abuse allegations that first weekend after they were made public June 20. Others spoke about it the weekend of July 28-29 after the Vatican announced that Pope Francis had accepted Cardinal McCarrick’s resignation from College of Cardinals and ordered him to maintain “a life of prayer and penance” until his canonical trial. Deacon Greg Kandra, of Brooklyn, New York, and author of “The Deacon’s Bench” blog, also felt compelled to speak about Archbishop McCarrick in a homily, even though he was not scheduled to preach the July 28-29 weekend. He published the homily he would have given on his blog, which was shared thousands of times and posted on the Facebook page of one parish.